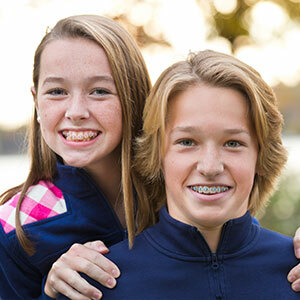 Metal brackets (braces) are the most popular with kids and teenagers. They love using different colors of ligature ties. These braces are much smaller than ever before. Clear brackets (braces) are the most popular with adults. You have to be very close to someone to be able to see them. Yet, because they are a ceramic material, they are more fragile. Clear braces are a practical alternative to traditional braces, offering the same smile-enhancing benefits without the noticeable look of metal.